EVERETT, Wash., June 29 /PRNewswire-FirstCall/ — Boeing (NYSE: BA) has completed another milestone in the assembly of its first 747-8 Freighter by joining the wing to the fuselage. Workers attached the 40-foot (12 m) fuselage section to the center wing box in the final assembly bay at the factory in Everett, Wash. The wing and center section are now being prepared for final body join, when the assembly will be connected to the forward and aft fuselage sections. The 747-8 Freighter is the new high-capacity 747 that will give cargo operators the lowest operating costs and best economics of any freighter airplane, while providing enhanced environmental performance. The 747-8 Freighter will offer 16 percent more revenue cargo volume than the 747-400 Freighter. The airplane will carry forward its predecessor’s efficiency, with nearly equivalent trip costs and 16 percent lower ton-mile costs than the 747-400 Freighter. In fact, the 747-8 Freighter will enjoy the lowest ton-mile costs of any freighter. The 747 Program has secured 78 orders from leading cargo operators for the new 747-8 Freighter. Cargolux, Nippon Cargo Airlines, AirBridgeCargo Airlines, Atlas Air, Cathay Pacific, Dubai Aerospace Enterprise, Emirates SkyCargo, Guggenheim and Korean Air all have placed orders for the airplane. PALMDALE, Calif., June 3 /PRNewswire-FirstCall/ — On Tuesday, June 2, Lockheed Martin (NYSE: LMT) and the Air Force Research Lab (AFRL) successfully conducted the initial demonstration flight of the Advanced Composite Cargo Aircraft (ACCA). This flight marks the final and most significant milestone of Phase II of AFRL’s ACCA program, in which Lockheed Martin replaced the mid/aft fuselage and empennage of a Dornier 328J aircraft with an advanced composite structure. “Yesterday was one of those perfect days where I get to be the first to fly a new aircraft and everything goes as planned. The aircraft was a real pleasure to fly and we experienced no issues,” said Rob Rowe, Lockheed Martin test pilot. ACCA took off to the east from USAF Plant 42 at 6:55 a.m. The aircraft then banked west and climbed to an altitude of approximately 10,000 feet where the two-pilot crew took the vehicle through a series of airspeed and stability and control tests. These tests are important to understand how the composite cargo aircraft performs at varying speeds, attitudes, and altitudes. This data will be used as a baseline for future tests. The road to this first flight started over a decade ago with industry and government laboratories collaborating in the AFRL-led Composites Affordability Initiative (CAI), a series of critical development steps in both materials and manufacturing technologies designed to mature dramatic, cost-saving processes. Out-of-autoclave curing of large, unitized and co-bonded structures minimizes part count and mechanical fasteners. 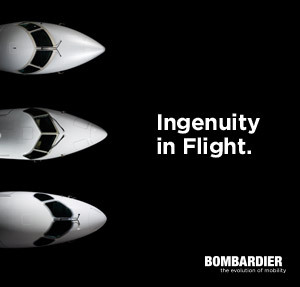 The “ripple effect” of this approach spreads across every aspect of airframe production expense. Tooling, raw material, fabrication man-hours, quality control and floor space utilization efficiency are just a few of the factors that combine to create a compounding effect on cost when applied in a holistic manner. ACCA is the “capstone” test of integrating these CAI principles all the way from conceptual design through certification and flight. With an investment of US$35 million, Peru has inaugurated its air cargo logistics center in the city of Callao, called Lima Cargo City. The new facility will actually double the processing of air cargo in Peru and the 165 square feet facility hosts 18 airlines, 15 cargo agencies and five banks. EVERETT, Wash., May 19 /PRNewswire-FirstCall/ — Boeing (NYSE: BA) celebrated the delivery of the first 777 Freighter to Deucalion Capital and its customer AeroLogic GmbH on May 12. AeroLogic, formed in 2007 and based in Leipzig, Germany, is a new cargo company joint venture between Lufthansa Cargo and DHL Express and will operate a fleet exclusively comprising the new 777 Freighter. Deucalion Capital and its customer AeroLogic currently have eight 777 Freighters on order. The new freighter incorporated two key elements of Boeing Commercial Aviation Services suite of E-enabled tools, Maintenance Performance Toolbox and Airplane Health Management. The 777 Freighter is the world’s longest-range twin-engine freighter and features the lowest trip cost of any large freighter, with high cargo density and 10-foot (3.1 meter) interior height capability that complements the ubiquitous 747 Freighter family. Providing cargo capacity normally associated with larger airplanes, the 777 Freighter can fly up to 4,885 nautical miles (9,045 kilometers) with a full payload of 226,800 pounds (103 metric tons). Aerologic will use Boeing’s Airplane Health Management Fault Monitoring and Maintenance Performance Toolbox to manage its 777 Freighters. These systems will give the operator a real-time fault-management tool to identify maintenance needs and communicate with ground teams to enable proactive, planned and timely maintenance operations and address potential issues, while managing technical publications and training, and customizing online maintenance manuals. The 777 Freighter is powered by General Electric’s GE90-110B1 and meets QC2 noise standards. Eleven customers have ordered a total of 72 777 Freighters.